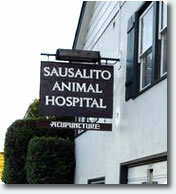 The Sausalito Animal Hospital is a charming facility located in the heart of Sausalito. 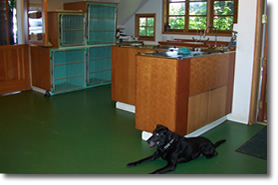 One of the first things you’ll notice is that the building has an old-world feel to it. 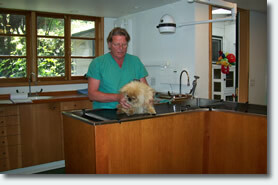 Although the hospital is quaint, the equipment is quintessentially state-of-the art technology. 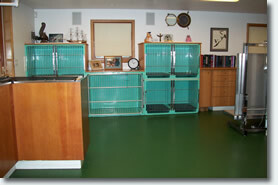 The floors are non-slip, water-heated floors; all for the comfort of the animals. 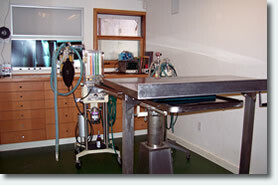 There is a full-surgical bay, for sterile, minor surgeries, a full x-ray table and dental x-ray table with dental facilities, and a fiber optic scope to reduce the amount of exploratory surgeries. 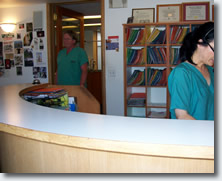 A large entry office is welcoming and opens to the examination area, surgery and holding areas. 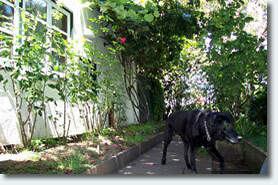 Outside, adjacent to the main building, is a lovely garden where animals can roam or rest after acupuncture. Located at the end of the garden is a small “captain’s quarters” used for acupuncture and is, as you would expect, a quiet, peaceful space. 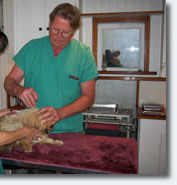 After your visit you’ll agree, the Sausalito Animal Hospital is all about animals… their care, their comfort.You’ll see that both Dr. Ray and Leather are committed to providing the best care possible for your best friend.